Guilty pleasures will never go out of style especially when the star of the show is Chicharron de Pollo- Dominican Fried Chicken. Dominican Fried Chicken is a special and unique dish because of the seasonings that give this dish it’s distinct flavor. If you’ve ever had Chicharron de Pollo, then you know that the salty acidic flavor is to die for! It’s is hands down my favorite way of having fried chicken. Fried Chicken is good no matter which way you season and cook it- well almost. We’ve all had dried- greasy fried chicken. HARD PASS. Nonetheless, every culture and even region here in the US fries chicken differently and Dominicans are no different. In the US, the most common way of frying chicken is by gently seasoning it, dipping it in egg, flour, and then frying. Chicharron de Pollo is similar except it’s brined and then seasoned with classic Dominican seasonings like Dominican Orégano, thyme, lime, adobo, and garlic. It’s then dredged in flour and fried in hot oil until it’s crispy golden brown. The end result is pure deliciousness. 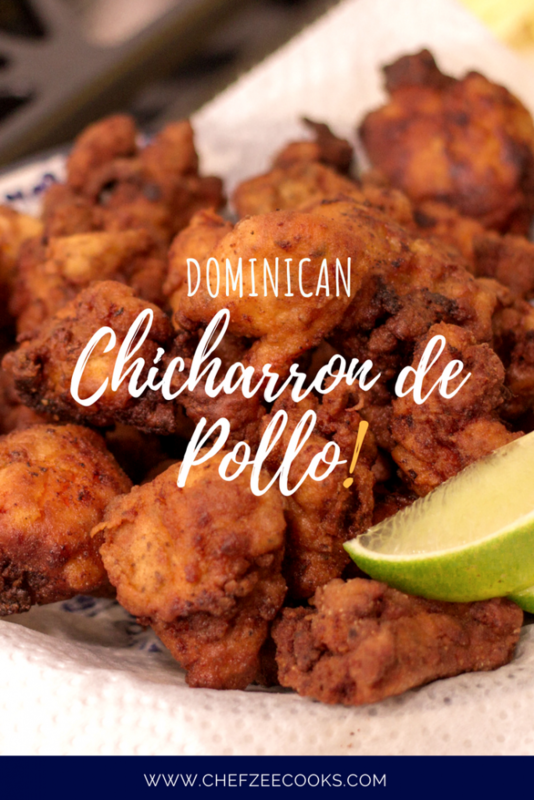 I’ve shared Dominican Fried Chicken recipes before on my channel and blog. 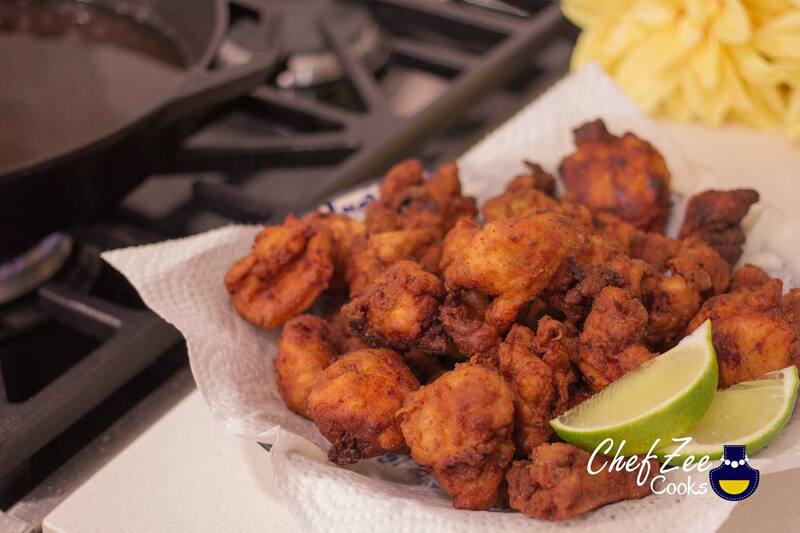 For the most part, Dominicans don’t use flour to fry chicken, pork, or beef. Chicharron de Pollo is one of the only exceptions and even then, we don’t use much flour. As a force of habit, I do the same thing. I prefer frying meats without any flour. Brining the chicken beforehand is key but optional. Brining will give you juicy tasty chicken but if you don’t have time, you can skip this step. I usually will brine the chicken and set it aside while I get the rest of the ingredients ready. By the time you’re done mashing your garlic time has flown by. If you’re like me and you’re not a fan of fried chicken with flour, you can skip this step entirely as well. I personally love to top this chicken with extra lime. Dominican Fried Chicken is characterized by that super acidic-limey flavor but you can also enjoy this with hot sauce.